Representing Team Asian America in PyeongChang. 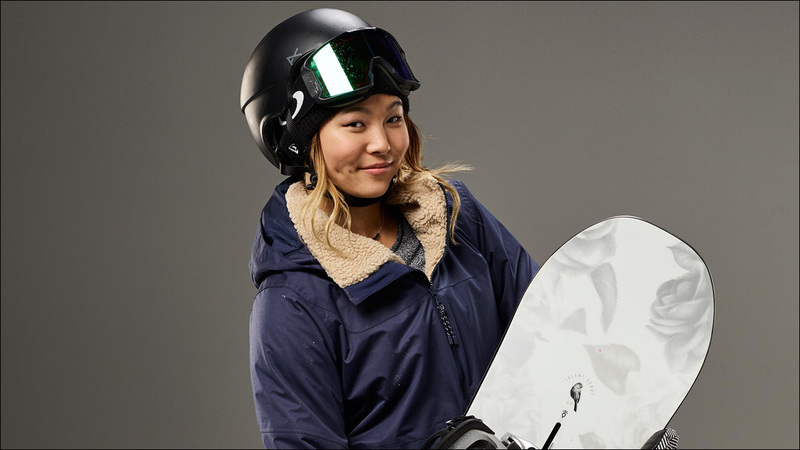 17-year-old Chloe Kim is the rider to beat in the women's snowboarding halfpipe. She actually could have qualified to compete at the last winter games in Sochi, but she didn't meet the minimum age requirement! Already a veteran in the sport, she holds multiple X Games gold medals, multiple World Snowboard Tour titles, and dual gold in both halfpipe and slopestyle at the 2016 Winter Youth Olympics under her belt. Hailing from San Clemente, California, 17-year-old snowboarder Hailey Langland has established herself as a favorite in big air. She nabbed a gold medal at the 2017 X Games after unveiling a double cork 1080, becoming the first woman in X Games history to land the trick. On top of that, she is a medal contender in slopestyle. 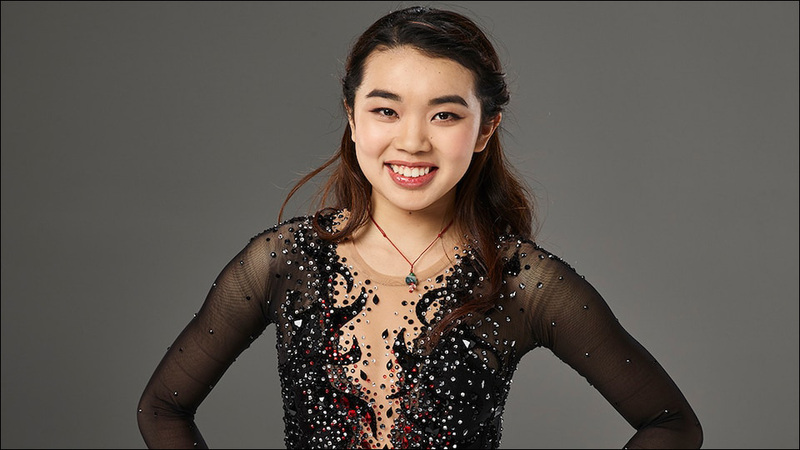 18-year-old figure skater Karen Chen won gold at the 2017 U.S. National Championship, becoming the first woman not named Ashley Wagner or Gracie Gold to win the title since 2011. In her debut at Worlds in 2017, she finished fourth, helping to earn the U.S. earn three spots in women's figure skating at PyeongChang. Last month at nationals, Chen landed on the podium with a bronze medal. 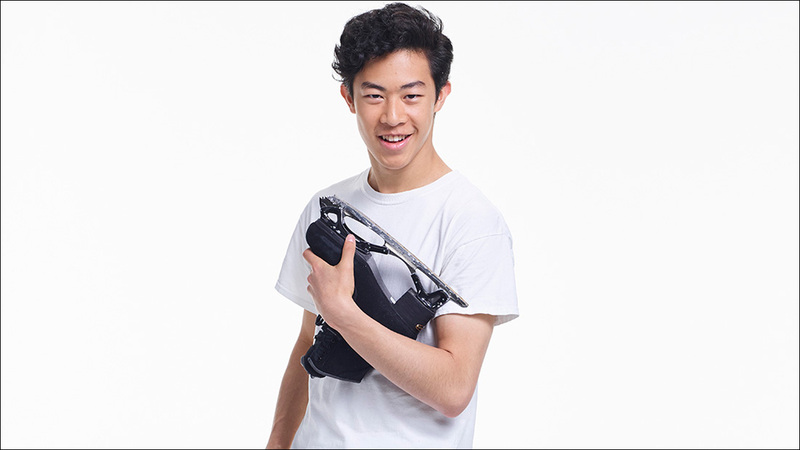 Known for his quadruple jumps, 18-year-old figure skater Nathan Chen is considered a serious podium threat in PyeongChang. 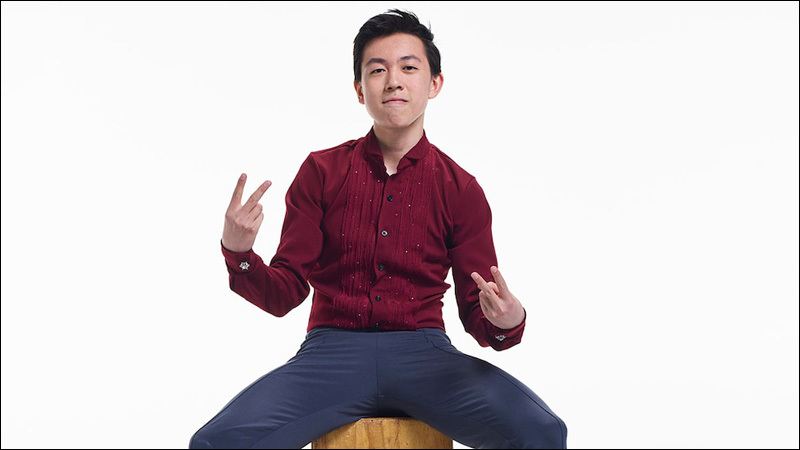 In 2016, he became the youngest U.S. man to medal at the ISU Grand Prix Final at age 17. At the 2017 U.S. Figure Skating Championships, he became the first man in figure skating history to land five quadruple jumps in a single performance. He attempted six quadruple jumps in a free skate at the World Championships in 2017 and may surprise us with another attempt on the Olympic stage. Ice dancer Madison Chock started competing with partner Evan Bates in 2011, making them a relatively young team compared to many of their rival couples who have been skating together for nearly a decade. Chock and Bates competed at the 2014 Olympics in Sochi, where they finished eighth. 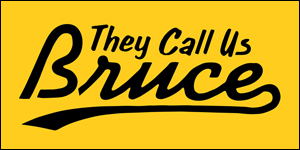 From 2014 to 2017, they won one gold medal and three silvers at the U.S. National Championships. In 2018, they earned bronze. 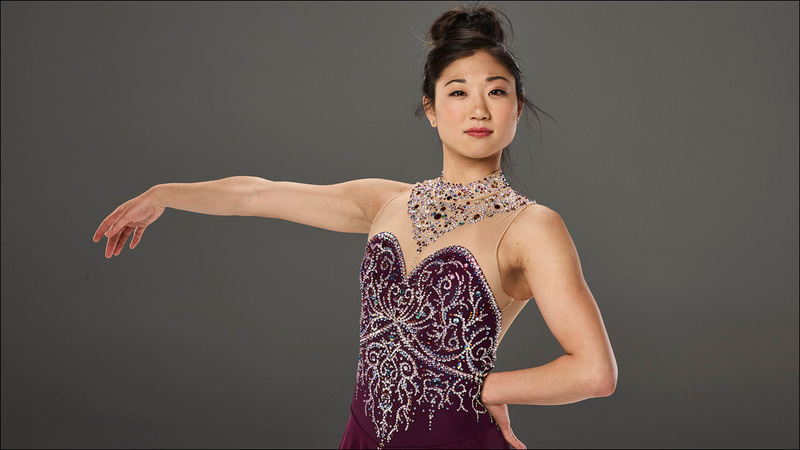 A veteran of this U.S. figure skating team, 24-year-old Mirai Nagasu finished fourth at the 2010 Vancouver Olympics. Though she earned a bronze medal at the 2014 U.S. Championships, she was infamously not named to the Olympic team for Sochi. Since then, she has slowly fought her way back to the podium, capturing a silver medal at the 2017 U.S. nationals and earning herself a rightful spot to compete in PyeongChang. The brother-sister ice dance team of Maia Shibutani and Alex Shibutani have been officially skating together since 2004. Known as the "Shib Sibs," the duo has won a medal at every national championship at the senior level since 2011 -- two golds, three silvers, and two bronzes. In international competition, the Shibutanis are the first U.S. ice dance team to win a medal in their world championship debut, earning a bronze in 2011. They competed at the 2014 Sochi Olympics, where they finished ninth. 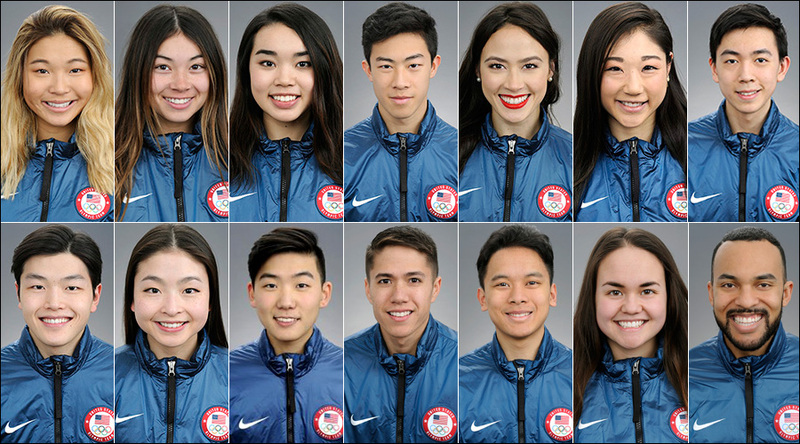 Hailing from Palo Alto, California, 17-year-old figure skater Vincent Zhou is the youngest athlete on the 2018 U.S. Olympic Team across all sports in PyeongChang. He was the 2017 World Junior Champion as well as the silver medalist at the 2017 U.S. Championships, before nabbing bronze last month at the 2018 nationals. A veteran of the 2010 and 2014 Olympic Winter Games, 27-year-old J.R. Celski already has three medals in short track speedskating. 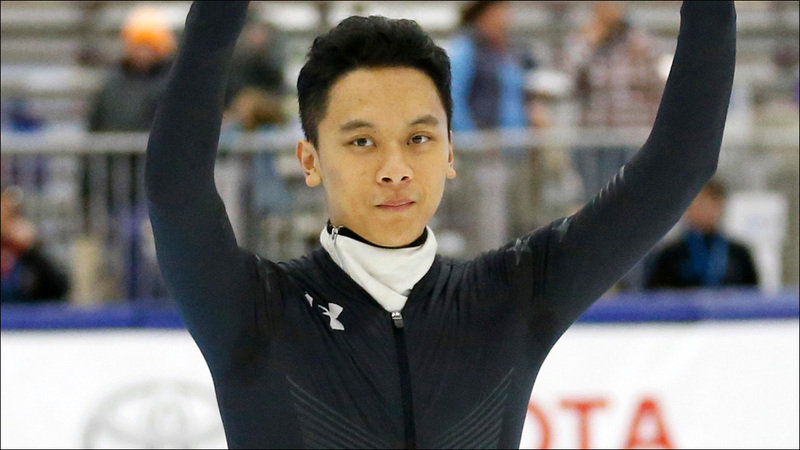 In his Olympic debut at the Vancouver Winter Games, he claimed bronze in the 1500m (alongside teammate Apolo Anton Ohno, who won silver), and bronze as part of the 5000m relay. Four years later in Sochi, he led the U.s. men to a silver finish in the relay final -- the only medal won by the U.S. short track or speed skating team at the Sochi Olympics. 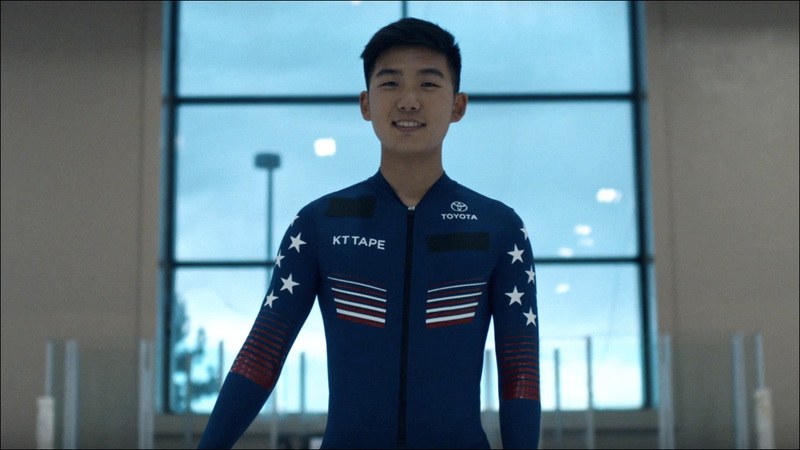 Born in Korea and raised in Maryland, Thomas Hong started traveling back to Seoul when he was 10 to visit his father and train with South Korean skaters. At 16 years old, he was the youngest athlete at the 2014 U.S. Olympic Short Track Trials, where he finished 11th overall and didn't make the team. In 2017, he made his debut at the senior World Championships, following his fourth appearance at the World Junior Championships, where he won a silver in the 500m and bronze in the 3000m relay. Hailing from Kearns, Utah, long rack speed skater Jerica Tandiman was inspired to skate, at age 7, after the 2002 Salt Lake City Games. They built the Utah Olympic Oval in the field next to her house! 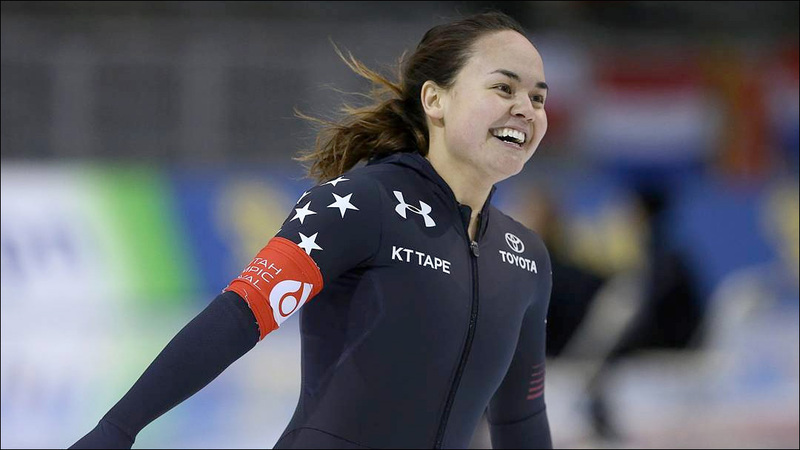 She clinched a spot on Team USA after finishing fourth in the 1000m last month at the U.S. Olympic Speed Skating Trials. 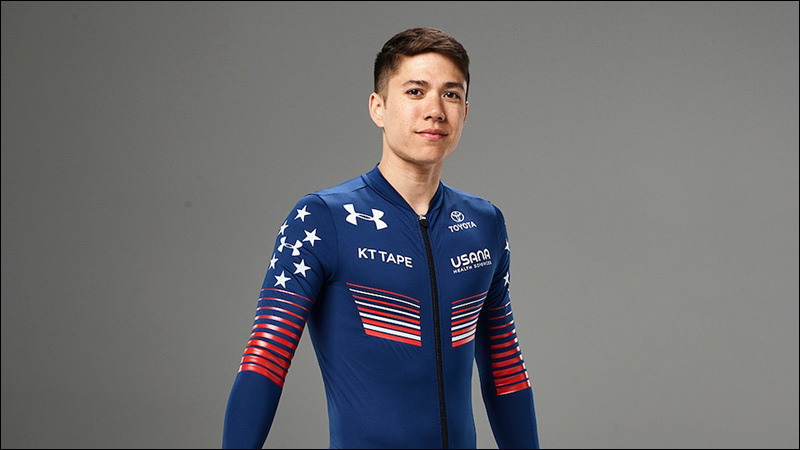 21-year-old short track speed kater Aaron Tran was the junior overall national champion in 2015, and has competed on four world junior championships teams. At the 2017 World Championships, Tran finished seventh with the U.S. men in the 5000m relay. 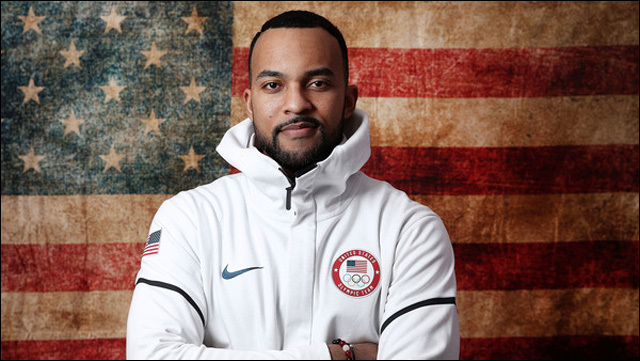 After falling short of qualifying for the Olympic team in 2014, he punched his ticket to PyeongChang at the U.S. Olympic Team Trials, finishing second in the men's 500m and third overall. Kinney was an All-American track and field hurdler at Georgetown University, breaking school records in the outdoor 110m hurdles and indoor 60m hurdles. He then spent four years in Japan, where he ran professionally, modeled and worked in marketing. While in Japan, he decided he wanted to try bobsled, which he first discovered by watching the 1998 Nagano Olympics. He is now a U.S. bobsled push athlete.